Happe Contracts is pleased to announce the completion of its most recent contract, a new Green Roof for a residential block on Belmont Street, London Borough of Camden. The contract was to remove the existing roof covering and structural decking, and replace it with a Bauder XF118 Wild Flower Blanket. Ostensibly this might seem to be a straightforward task, but before the green covering could be laid there needed to be extensive preparatory work undertaken. Preparations started with reinforcing and upgrading the existing roof joists and decking to accommodate the increased loadings. Once the reinforcing work was complete, the second stage was to install a Bauder Total Roof System, a patented system incorporating a variety of membranes designed to provide robust waterproofing coupled with a high degree of thermal efficiency. 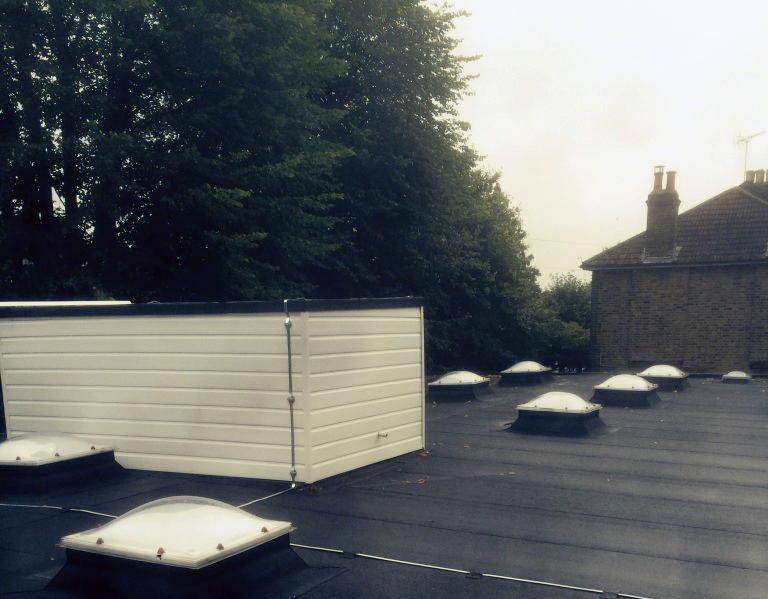 Having been in use in the UK for around 30 years, the Bauder Total Roof System is a tried and tested flat roofing solution, which utilises tough SBS modified bitumen membranes of the highest quality. With the integrity of the roof assured, the Bauder Wild Flower Blanket was then overlaid to complete the installation. Similar in concept to lawn turf, the Bauder Wildflower Blanket offers an instant covering of vegetation. The product is lightweight and comprises a carefully selected mix of 24 species of native wildflowers, herbs, sedums and grasses for a diverse community of vibrant foliage and flowers. The plants satisfy the requirements of the BREEAM and Sustainable Homes codes, and also feature a range of native species that meet with most biodiversity plans that project-specific ecology reports are now demanding. Green roofs are increasingly becoming a feature of the urban landscape, though they can be installed on virtually any building, in any environment. The key purposes of green roofing include: reducing the Heat Island effect, providing insulation in winter, providing cooling in summer, lowering urban air temperatures, improving urban air quality, absorbing rainfall, providing sound insulation, offering additional amenity space, and creating micro habitats for wildlife and invertebrates. Happe Contracts installed 2000sq.m of Delta Waterproofing Everflex Plus system incorporating 100mm rigid insulation and new triple skinned rooflights. A 20-year guarantee was issued to the client on completion. When the roof of Ware’s historic museum started to fail, IKO Permaphalt polymer modified asphalt was chosen as the waterproofing solution. As an approved contractor, Happe Contracts provided the installation and issued a 20-year guarantee on completion. As part of a refurbishment project at one of London’s historic Nash Terrace houses, Delta Ecofin TPO membrane was specified to provide the waterproofing solution. Over 20,000 machine-made clay plain tiles were installed with ornamental leadwork to this listed building in the heart of an Essex conservation area. 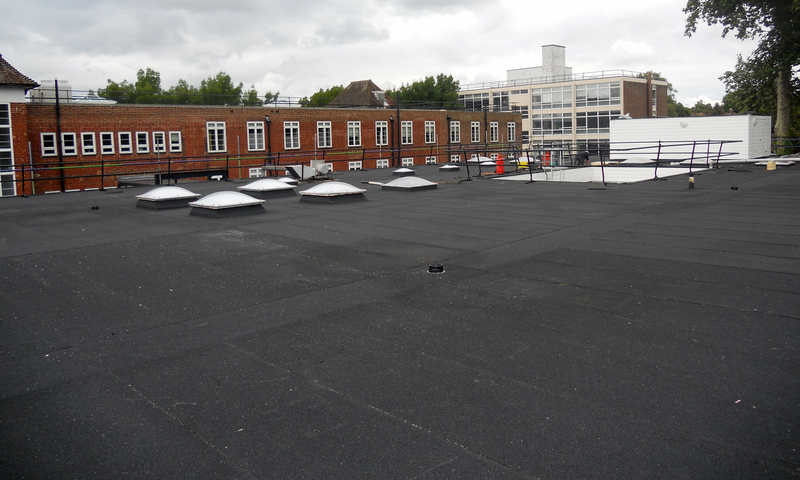 Bauders Total roof system incorporating FATE insulation was installed to over 1000sq.m of flat roofs with a 20-year guarantee issued on completion. The existing roof covering to four stairwell roofs had started to fail. Due to the unusual design and many difficult penetrations it was decided to install a Tor Elastaseal system to provide a complete seamless waterproofing solution. The refurbishment of laboratory E100 included electrical, decoration and flooring works in liaison with various nominated specialist subcontractors. The contract involved a complete internal and external refurbishment, including new heating, rewiring, structural repairs and decoration to five dilapidated properties. Our contract required the external repair and cleaning of the Portland Stone facade at our clients’ London Headquarters. Close liaison with the Corporation of London was required due to the buildings sensitive location.